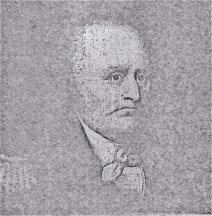 Carlton Dietly McKenzie Carlton Dietly, Jr.
A distinguished officer in the Revolutionary Army, and one of the original members of the Society of Cincinnati. Mrs. Eliza Washington Oldham, the subject of this notice, was born in Milledgeville, Georgia, July the 4th, 1792, and died after a lingering illness, November the 4th, 1871, at the residence of T. E. S. Rusworm in Gallatin, Tennessee. Even a running synopsis of the life of sister Oldham would present us a remarkable history, full of varied incident. She was the daughter of Colonel Thomas Martin, a valiant officer of the Revolution, and the wife of Richard Oldham, a meritorious officer of the Army of 1812. She was familiar with the old heroes of our republic. When a child she sat upon the knee of General Washington; and when this country was a wilderness, traversed its length and breadth on horseback. However, we lay no stress upon these historic facts when compared to certain beautiful traits that stood out in bold relief from the character. True worth is always found in the private relations of home and friends. Mrs. Oldham was united in marriage when only sixteen years of age. She was the mother of nineteen children, five of whom died in infancy, leaving her with the responsibility and care and sympathy that attaches to the raising and training of fourteen children. When I affirm that she performed the duties of a mother, all of her descendants, children and grandchildren and great grandchildren will answer from their hearts, "Amen - Amen!" If there be a juvenescent spring, her spirit drank from it, for she carried all the buoyancy of youth into old age. She loved the child and she loved its sports. No doubt her humor and vivacity of spirit was the catholican that furnished her with such perfect health for so many years. Such was the devotion of her children to her that her coming, when she visited them, was a festival of joy; when she left, they were sad, because they missed the genial smile and sympathy of a mother. She did not connect herself with the church until a few weeks since, but always maintained the kindest feelings for the whole christian church, and particularly for that branch of the church of which she died a member. The last words that I heard fall from her lips, in reference to the spiritual state, were: "I have cast my burden upon the Lord". When I sang her favorite hymn, "There is rest for the weary" her lisping, stammering tongue, scarcely audible, followed me. She did not desire to die, as some others, because nature had been kind to her. She had suffered but little pain, she loved her children, had not outlived her friendships and was contented and happy in her associations. I discovered no rebellious spirit when called to come up higher. Her house was in order, she submitted to God's behest, and has passed triumphantly through the gate into the city. May a merciful God direct and comfort her children. Harry S. Burroughs, 70, well known to early day residents of Cassia County, died at the home of his daughter in Quincy, Michigan, January 21 (1940), of a complication of ailments. In 1891 he formed a partnership with L.H. Sweetser, running cattle on lower Raft River. George T. Burroughs (who later engaged in the hardware business in Burley) soon thereafter joined the partnership. Harry Burroughs was also interested with his partners in gold dredging on Snake River in early days, between Raft River and Starrh's Ferry. Shortly after 1900 he managed a gold dredge for a mining company near Parma, later returning to his home in Chicago where he became manager for a life insurance company. Harry was stricken with a spinal ailment while visiting his brother George in Fontana, California. He returned to Illinois and there suffered a partial paralysis stroke. He was a brother of Edgar Rice Burroughs, of Tarzana, California, the author of the Tarzan stories and himself a one-time resident of Cassia County. George: These copies are self explanatory, the one hereon a copy of notices sent Bulletin and Herald. A short notice I'll send The Statesman. If you suggest changes, write the papers. I thought it best to contact them. I am hurrying this to get it in the mail so you will receive it tomorrow. I air-mailed the letter to Studley. I just received your letter today, with the copy about Harry, and just thereafter got the telegram from Evelyn.